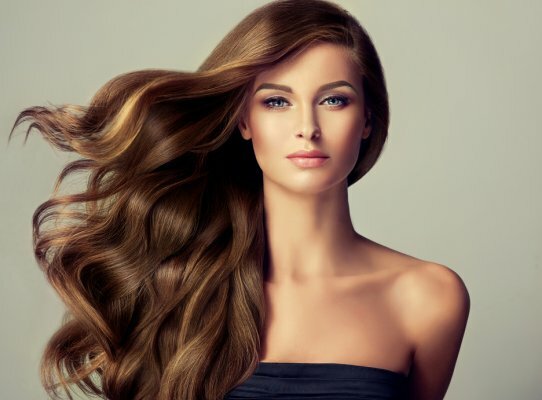 Hair care is one of the most important beauty topics to women. Despite all efforts and interest in the hair issue, we still have too many questions and doubts concerning the hair looks, care and repair. Here are the key questions concerning hair that surely give many women sleepless nights. Let’s answer them once and for all! Hair grows around ½ inch per month. The pace of hair growth depends on many factors – hair care routine being among the most important ones. The more the vitamins, micro-nutrients and good fatty acids delivered in hair care routine and the lesser the silicones and parabens you provide – the faster the hair growth. It’s a key thing that you don’t just focus on the lengths and ends of your hair – care for your scalp and bulbs, too. Natural oils work wonders for faster hair growth. They should be right for your hair porosity (type). Rub them in like a mask – into hair and scalp at least once a week. Oils must be washed off with a mild shampoo. 2. How often should you wash your hair? There is no exact answer to this question. You must wash your hair as often as it needs. If your strands tend to get oily – don’t hesitate and wash them every day. A delicate shampoo, which is designed for your hair type and is free of sulfates, parabens and heavy silicones, is the most crucial thing. Often hair washing doesn’t damage hair and you need to cleanse your scalp regularly. That is why the belief that you need to give up on washing for a few days (so that it doesn’t overproduce sebum) is fake. You should remember that sebum attracts impurities, dust and bacteria and weakens hair bulbs. 3. Can you go to sleep with wet hair? We know it is feasible and many women do it. Still, it isn’t the best idea you can come up with. Wet hair is extremely prone to damage whereas brushing against the pillow quickly weakens the hair structure. Strands start breaking, falling out, getting weaker. To make things worse, hair is shockingly frizzy and bends in all possible directions. During sleep, your wet hair suffers a lot from mechanical damage. 4. How often should you get a haircut? It is a very common question – both in a hair salon and a trichologist’s office. There is no clear answer because it depends on the speed of hair growth and your hair shape. If it grows around ½ inch per month and receives good care, have a haircut once in 3-4 months. A hairdresser is going to cut down dry, damaged ends. Regular trimming prevents splitting. 5. How can you speed up hair growth? It turns out that you can stimulate faster hair growth: it will grow more quickly if you provide it with suitable supplements and vitamins, caring for bulbs and scalp at the same time. Natural oils are cut out for this purpose. Rubbing an oil into the scalp stimulates blood circulation and regenerates bulbs which are stimulated for growth and firmly-rooted in follicles. An oil should be natural, unrefined, cold-pressed and suitable for your hair porosity. 6. Why does hair get oily? Paradoxically, hair often gets oily when we lead to scalp dehydration, forcing sebaceous glands to an intensified production of sebum. Stimulating sebaceous glands mechanically – through touching hair and transferring germs – is another factor which increases sebum secretion. Seasonal changes disturb the work of the glands, too, especially in winter when hair is hidden under a hat or must deal with the dry air generated by heaters. 7. Why does hair fall out excessively? Hair falls out in excess due to various causes. Wrong hair care and seasonal hair loss (especially in spring) are most common. Bad diet, stress, medications and smoking cigarettes largely weaken your hair bulbs and contribute to hair loss. To slightly alleviate these factors, you should start oiling your hair – rub a natural oil in your scalp once a week, as well as drink nettle and horsetail teas. 8. Why is hair static? Static hair is most common in winter when the electric charges in the air and hair are similar. Fibres of a warm hat and dust flecks (settling in the strands) affect such behaviour of hair, too. It’s a worth knowing info – dry, weak, damaged, thinning hair is most prone to static. Therefore, in wintertime, we must provide hairdos with a bit more moisture and go for emollients more often (e.g. oils or silicone-based lotions which prevent hair static). 9. Why do hair ends split? Hair ends are the ‘oldest’ part of hair – the most exposed to damage and processing (colouring, blow-drying, straightening, harsh towel-drying, intensive brushing). They must put up with weighing-down styling products and they simply stratify – lose bounce, resistance and hydration. To protect them from damage, reach for a proper serum (exclusively designed for hair ends) or regularly rub oils in e.g. argan oil, macadamia oil, avocado oil. 10. Why does hair get dry? Hair gets very dry because of… high temperatures. It is the most common cause of hair dryness whereas we rarely wonder if a blow-dryer emits the right temp for our hairdos; the optimal temperature for blow-dry routine shouldn’t go beyond 40 degrees. Flat irons, curlers, heated rolls, strong sunlight and (in winter) heaters make both hair and scalp very dry. That’s why you must make sure you keep providing moisture and appropriate hair care.